We've known about DARPA's plan to build a reusable, unmanned space plane for quite some time, but the agency just announced the companies that will help. Unsurprisingly, two feature famous billionaires who love space. 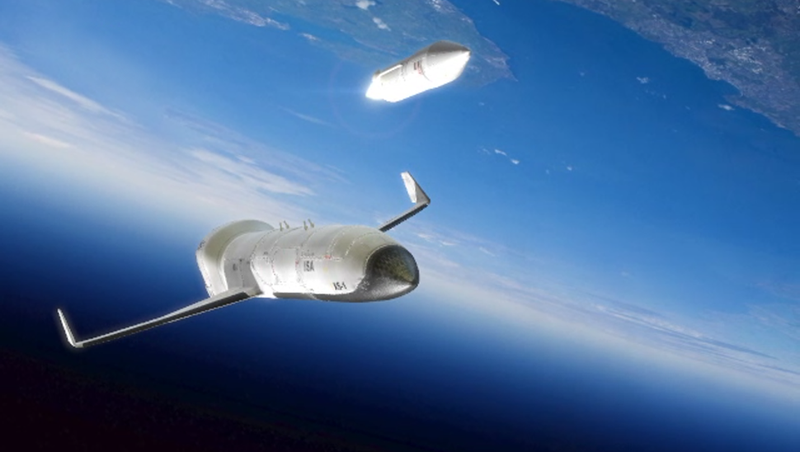 DARPA awarded contracts to Boeing, Masten Space Systems, and Northrop Grumman to lead the first phase of its Experimental Spaceplane (XS-1) program. In turn, Boeing is working with Jeff Bezos's company Blue Origin, and Northrop Grumman is working with Richard Branson's Virgin Galactic. That makes for a veritable who's who of the current commercial space travel industry and surely spells good news for DARPA's chances of succeeding in an undeniably difficult task. When it's finally built, the XS-1 spaceplane system would fly at hypersonic speeds in the atmosphere—which Virgin Galactic could certainly help with—before separating and sending an expendable craft higher to release small satellites into orbit. The reusable portion of the spaceplane would then return to Earth—which Blue Origin could help with—ready to fly another mission. The program aims to make these flights almost as cheap and easy as commercial airliners. The winning design will be able to go on ten missions in ten days, fly at Mach 10 or greater, and cost less than $5 million per flight.